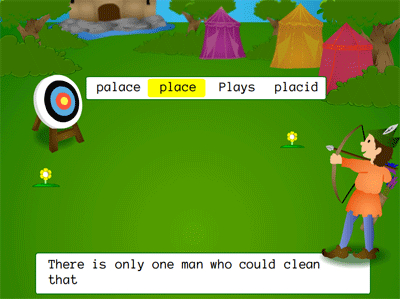 Reading Kingdom is an online reading and writing program geared toward children aged four to ten or those with special learning needs. The program will work with them to achieve a 3rd grade reading and writing level. Created by Dr. Marion Blank who has had over 40 years in study on how to teach children to read and write. That experience is exactly what I was looking for! I chose to use this program with my 10 year old. He is probably at a 1st grade reading level, and has struggled for a couple years with it. I wanted to try a more holistic approach to teaching his reading that included more than just trying to decipher words on a page, but to incorporate the language, spelling, and how the order of words flows. Prior to turning on Reading Kingdom I was a little apprehensive on using it for a 10 year old, when he is at the upper level of the program. I was afraid that the games and graphics would be too 'babyish' for him. The graphics are outstanding! Very beautiful, and pleasing to a 10 year old as it would be to the rest of the ages. The sounds and graphics drew my other younger children aged 7 and 4 right to the program to see what Canyon was 'playing'. Resembling an online style of game, the younger ones thought for sure he was playing a game. That will make it easier for Canyon to want to do it as well. "The Reading Kingdom is highly beneficial for children diagnosed with dyslexia. The system has been designed to teach a range of skills vital to reading but omitted from other programs. Many of these skills are precisely the ones that children with dyslexia need to develop. For example, the children often have problems with visual memory so that even when they have seen a word many times, they do not recognize it. The teaching of visual memory is a key part of The Reading Kingdom. Other features of the program address the specific language deficits associated with dyslexia, such as the notable difficulties the children have with the "little" words such as there, who, of, etc. The Reading Kingdom steadily builds the skills children need to become fluent readers and writers." They do indeed repeat the word in several variations. Having the child just choose letters to match in order of sequence. May seem easy at first with the smaller words but they don't overwhelm the student either. They do get harder as they progress. The program is designed to work at the pace that your child is going. 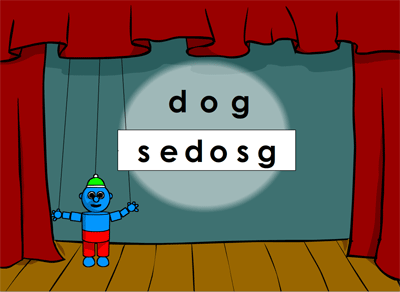 They also use the various games to find the missing letters in the word, correctly indicate the word from a list of similar looking words, and then later type it from memory. Of course the first word he had to really focus on was GIRLS... now if you have a 10 year old boy you do realize this is NOT a word they want to learn to write, over and over again. I found it comical, he did not. We got through it however and he mastered the word and didn't have to look back! Poor kid! I think this concept triggers different memory components of the brain and one of them is bound to stick with my child! The program emphasizes when you begin their Skills Survey that the parent not assist the student. They are on their own, so that Reading Kingdom can accurately assign the components that the child most needs. Well this individual time with Canyon working on Reading Kingdom gives me the opportunity to work with one of my other children on their schooling while he does that. Each session can last from 10 to 20 minutes. I chose to assign 4 lessons per school day, him being able to choose to do all 4 at once or do 2 in the morning and 2 after lunch to break it up. I felt that even as a supplement I wanted to work through it at a faster pace than just one lesson a day. We will be incorporating this as a supplemental program to the other curriculum we are using in reading. It can easily be used as a main curriculum especially with the younger students like Kindergarten and 1st grade. Once the student is done the parent can see the Reader Progress Report where you can see the percentage of completion done on each section. Canyon did begin in the Level 1 reading, even as a 10 year old. I am exited to see the progress he is able to make over the next few months. I think this is a fantastic program that is engaging and keeps the student's interest. You can sign up for a Risk Free 30 Day trial where you can utilize Reading Kingdom to see if it would be a good match for your student. If you love it and I truly think you will, you can either pay $19.99 per month for access with cancellation at any time. Better yet pay for the entire year $199.99 and save 20% on the year. If you have additional children who you want to use the program they would be 50% discount for each one. I know my 7 year old is eyeing up the program for herself! You will be well supported in your desire to help your child learn to read. Reading Kingdom has a blog that offers great articles on reluctant readers, tips and helps for parents, interesting books to encourage your child, and much more. You also can find out up to date information on their Reading Kingdom Facebook page. As a member of the TOS review team I received a membership to Reading Kingdom free of charge to facilitate my honest review. We love Reading Kingdom. We had the pleasure of reviewing it last year.